I was asked to participate in an artist-on-location event during a house tour in Pembroke and Hanover. My friend, Mary, and I chose to paint on the dock at the canoe club on Canoe Club Lane in Pembroke. This view of the South River was breathtaking once the sun came out. I began my painting while it was still a little gray, and it was too late to change the colors. 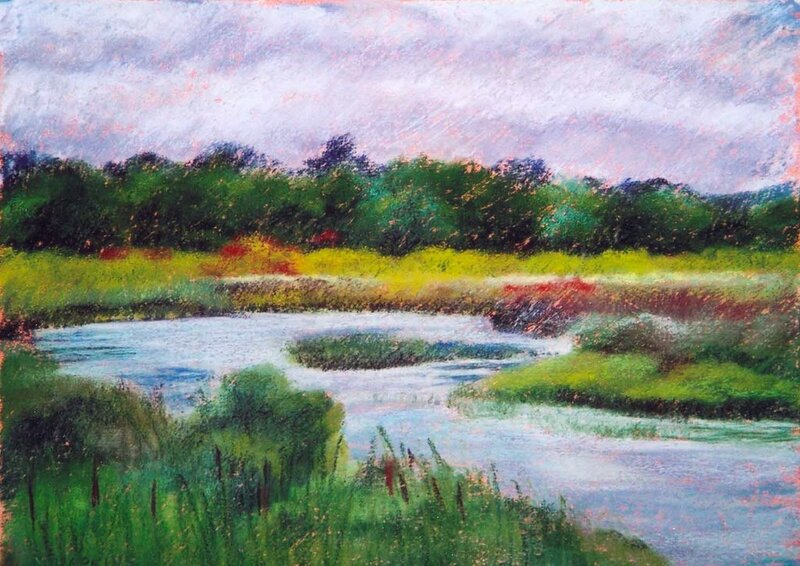 But here it is anyway -- a pastel painting of the South River early morning. Thanks, Tom. Yes, I've been very busy and loving every minute of it!